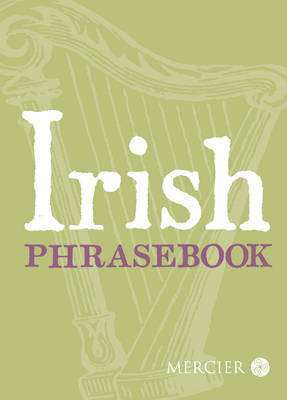 If you are learning Irish or are travelling on holiday or for business in the Gaeltacht this handy pocket book is an excellent resource. It includes: * English phrases translated into Irish. * Clear pronunciations for each phrase. * Useful phrases for every situation. * A comprehensive vocabulary section. Topics covered include: greetings and exchanges; common questions, e.g. asking the time; common problems; at the airport; at the hotel; other accommodation, e.g. renting a house, camping, hostelling; out and about; shopping; health and emergency situations; general information such as numbers, days, seasons; signs and notices.